Lacoste is a French apparel company founded in 1933 that sells high-end clothing, footwear, perfume, leather goods, watches, eyewear, and most famously tennis shirts. In recent years, Lacoste has introduced a home line of sheeting and towels. The company can be recognized by its green crocodile logo. 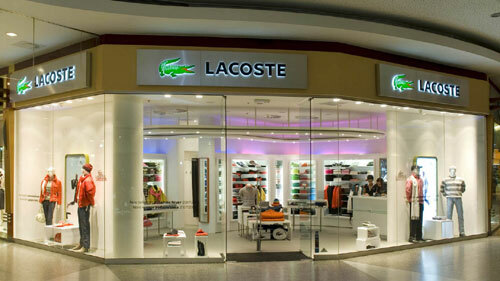 Lacoste is a world famous brand and is available through its brand outlets n many cities in India. It is a very popular brand amongst the Indian youth and is loved for its style and high quality clothing.